Musings of a Menopausal Melon - mmm! 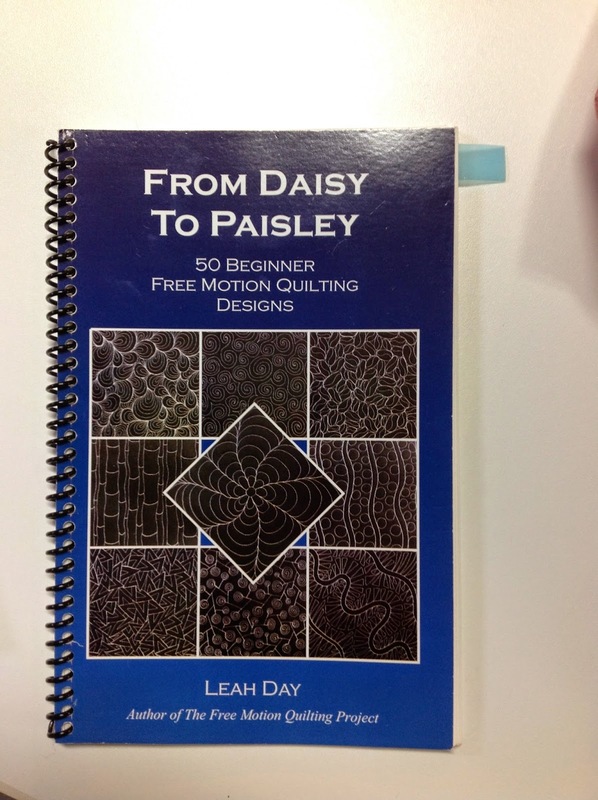 quilts: I Love All Things Leah Day! In October 2013, in my 14th post, I wrote my first "'Ode' to Leah" post, and here I am, just over 6 months later, writing another. 1. Well, I just now grabbed Leah's FMQ button! And this is important because I JUST figured out within the past week and a half how to add other bloggers' buttons to show what I'm participating in. Her button is very important to me. . .
2. 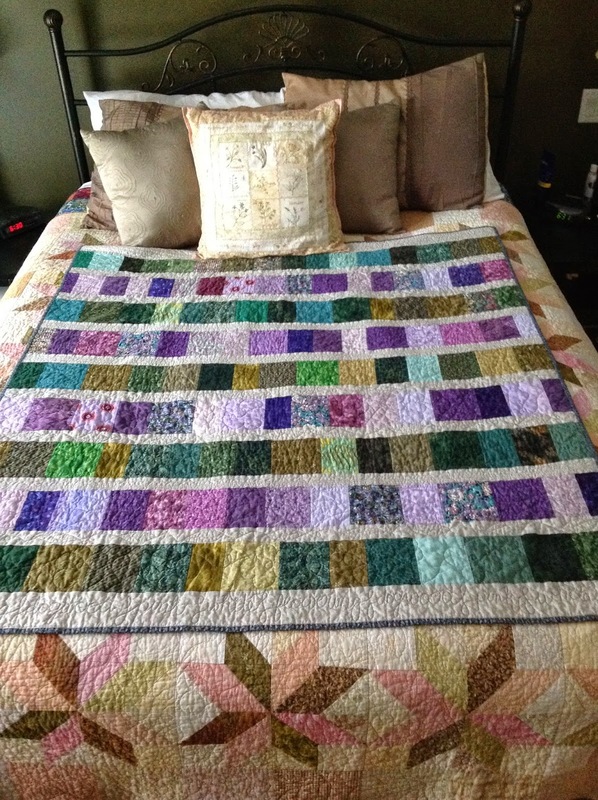 She was the first person whose website helped me to learn to quilt on my secondhand Avanté that I purchased last February. 3. She not only helped me with practice on my Avanté, trying out SO MANY new designs, but also with doing new FMQ designs on my Bernina when I quilt on it from time to time. 5. that I bought this year the second one! I think she should be voted Teacher of the Year, if there is such a thing in the online world. Her continued generosity in sharing her designs, her honesty in sharing personal stuff, and her gift of her time to make and post all the how-to videos (all free!) put her, in my opinion, at the top of the list. She's even got her husband learning to FMQ, so that she can deal firsthand with a beginner, and learn how to be a better teacher through teaching and watching him learn to free-motion quilt. Wow. I really hope one day to meet her in person. I was going to write a post on favourite marking tools, but after catching up with Leah's blog, especially after her post, "Bent Knees Are Okay Here", I was just so inspired to sing her praises once again. And here is "Tribute to Flowering Dogwood" on our bed! My husband made our bed this morning (gotta love that) and he spread it out. I'd just had it folded at the foot. I like the way it looks! Who said anything about maybe selling it?! And OMG! I just realized seeing it here that all of the greens in the star quilt found their way into the dogwood one. That's 7-year-old scraps!! (as bad as my fridge and cupboards, my family would say, lol!) Sigh. Better than having them sitting in plastic bags, and Rubbermaid containers and drawers, right?! Joe??! Made the bed??! What's with THAT?! 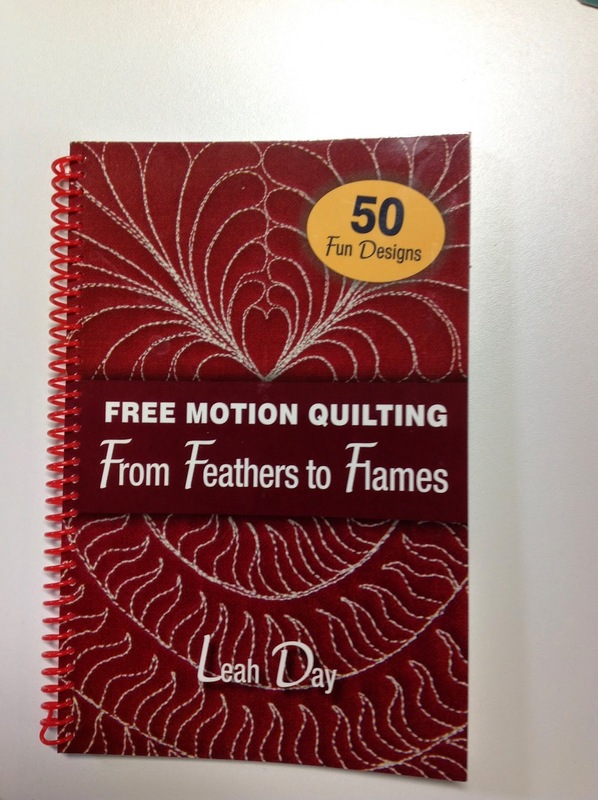 Leah is the voice of free motion quilting, for sure. Your saved scraps have found a beautiful place to live in this new finish!